A pressure sensor measures the pressure, typically of gases or fluids. Pressure is an expression of the force required to stop a gas or fluid from expanding, and is usually stated in terms of force per unit area. 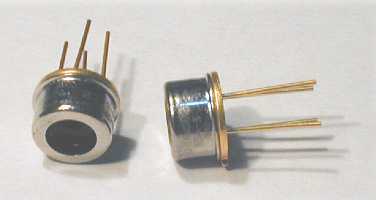 A pressure sensor generates a signal related to the pressure imposed. Typically, such a signal is electrical, but it might also include additional means, such as optic signals, visual signals and/or auditory signals. Pressure sensors have particular utility for monitoring the pressure in a fluid network. As compared with flow sensors, pressure sensors often require less cost to achieve a similar result. Pressure sensors are often fabricated using thin membranes that flex under pressure. 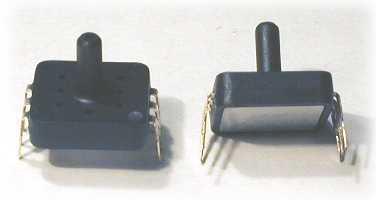 Some pressure sensors function in a binary manner, i.e., when pressure is applied to a pressure sensor, the sensor acts to complete or break an electical circuit. Some speed cameras use them. We are a leading manufacturer and wholesale of various sensor elements such as Resistive Humidity Sensor, Temperature Sensor Maker, Shock Sensor, Ultrasonic Transducer, Backup Sensor, Alcohol Sensor, Gas Sensor, UV Sensor, Air Pressure Sensor, Atmospheric Pressure Sensor.